Come back for updates and improvements. as you've never heard them before! Yes, it's a real place! will drive us all mad! Like movies for your mind! to fit our M.U. varsity hoodie! Below are the experiences of some of our happy customers. Click on any of them to check them out! You can find our HPLHS movies, Dark Adventure Radio Theatre, HPLHS musical productions, books, props, garments and much more at the HPLHS STORE. HPL (1890–1937) wrote his own unique style of cosmic weird fiction in the 1920s and '30s. 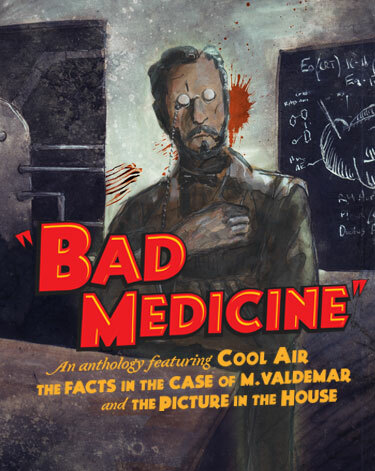 First published in the pulp magazines of the day, his tales have inspired generations of writers and creative artists and helped shape pop culture. Blending gothic traditions with science fiction, Lovecraft’s imagination created a world within our world, one haunted by ancient gods, incipient madness, alien races, lost cultures, forbidden books and mad scientists. While he died in obscurity, his work is more popular today than ever. Most of the HPLHS' projects have a retro flair. Lovecraft lived and set his stories in a time before cell phones, before atom bombs, before satellites — when the world was still full of romance, unexplored places, and frighteningly dark corners. The Roaring Twenties and early Thirties provide a rich creative backdrop, peopled with fascinating figures. Our vintage styles of entertainment (e.g. silent films, radio dramas) engage our audience’s imagination, and the result is a rich and satisfying experience of HPL’s works. HPL wrote something like 100,000 letters in his lifetime, belonged to (and ran) clubs, and enjoyed communicating with and visiting his friends whenever he could. 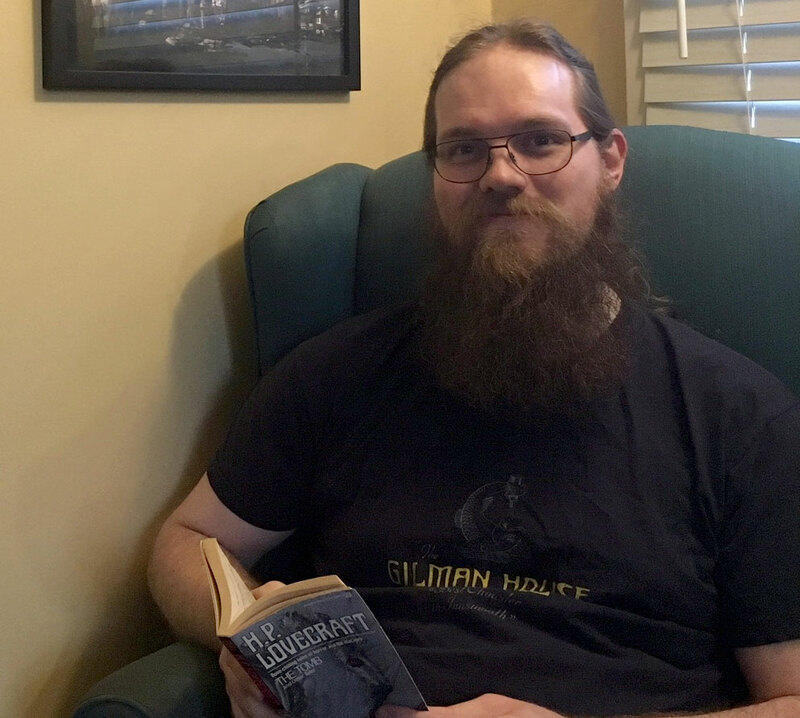 From its beginnings, the HPLHS was about sharing our Lovecraft-inspired games, songs, movies and more with like-minded friends, and creating story-telling experiences in a uniquely immersive and collaborative way. The internet has allowed us to expand our society across the globe (with members in 22 countries) and share the fun with a world full of Lovecraft fans. A custom-made ring binder to hold DART props, liner notes and more! 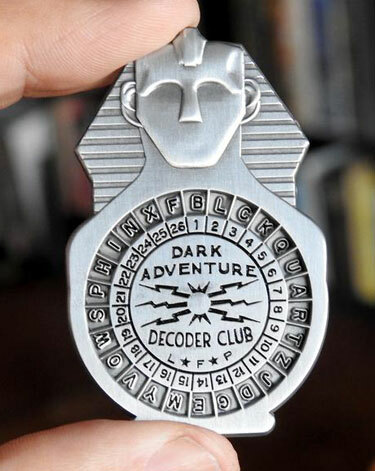 The Dark Adventure Decoder Badge is the key to a world of fascination! 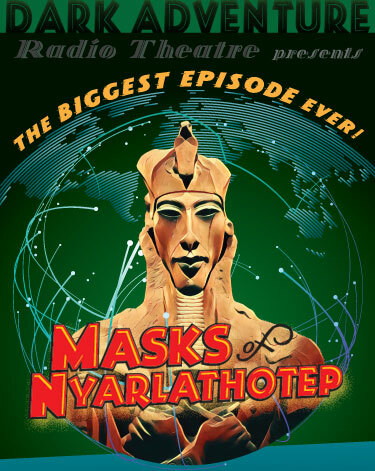 Masks of Nyarlathotep, a massive adaptation of a classic Chaosium adventure. 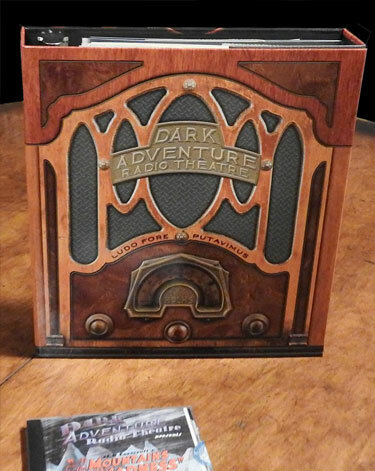 An anthology episode of Dark Adventure Radio Theatre now shipping!